This is taking place on the 12th May at Go Jumpin and Climbing the Walls in Shrewsbury – have you booked for your unit yet? Do you need a room to hold your meetings? If so, the County Office in Wellington could be the perfect venue. The address is: The Old Court, Church Street, Wellington, TF1 1DG. There are two rooms available for meetings, with tables and chairs. Tea, coffee and mugs are provided, however you will need to bring your own milk and biscuits. Each room has it’s own entrance. There is a car park outside, which is available after 6pm for evening meetings. During the day, local car parks in Wellington are to be used. The cost for hiring a room is £3 per session. For bookings, please contact Joyce. 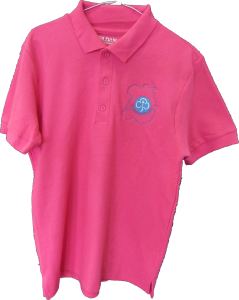 We are pleased to be able to tell you we have sourced a new Girlguiding Shropshire hoodies and polo shirts. They are raspberry with a blue trefoil and county outline and are available in both zipped and hoodie designs. 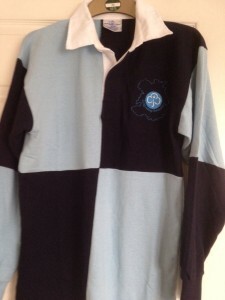 We have also produced a Girlguiding Shropshire rugby shirt, which features our county logo design. Want to become a Mentor or Trainer? Mentors and trainers required - get in touch if you would like to mentor a new leader through their ALQ or provide training support on a range of topics. Leaders are adult volunteers who complete the training scheme provided by Girlguiding UK to help them work safely and enjoyably with the girls. The County Team are there to support our volunteers and young women through providing support in a particular area or skill. There are a number of positions that we are recruiting for currently or will be in the near future; have a look and let us know if you are interested!